One of the top games of 2017 will finally be hitting consoles this summer, as Larian Studios’ Divinity: Original Sin 2 will be released on PS4 and Xbox One in August. This game was hailed as an RPG masterpiece by many last year, bringing back the classic RPG gameplay which made games like Baldur’s Gate 2 famous back in the day. It’s also noteworthy that this was the highest-scoring PC game on Metacritic last year, which is certainly no mean feat. It’s a good thing then, that console gamers will be able to sink their teeth into Divinity 2 this summer, as the game will be released in August this year. This console port of the original PC version is being handled by Bandai Namco, who have experience bringing other epic, high-profile RPGs like The Witcher to console. 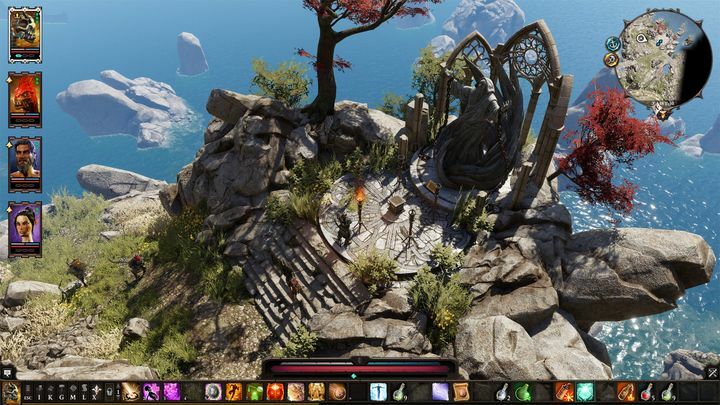 This version of Divinity: Original Sin 2 will have “a user interface tailored for console play” according to Belgian outfit Larian Studios, plus additional features and content which will be announced in the run-up to the game’s launch. Like the original PC game, Divinity: Original Sin 2 on console will let you play as one of six distinct characters, each with their own origin story and special abilities. So, RPG fans who missed out on this game last year will finally have a chance to play one of the best role-playing games released in the last couple of years, and hopefully Divinity: Original Sin 2 on consoles will be every bit as fun and engaging as it was on PC when it hits shelves later this year.